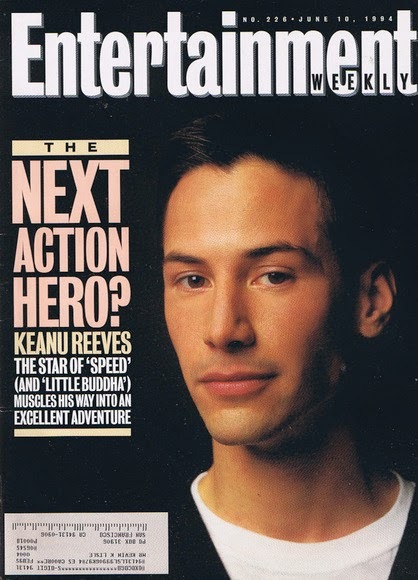 Keanu Reeves. The most unlikely movie star of the 90's? I've always liked the guy and his performances in films like Bill & Ted's Excellent Adventure, Point Break, Bogus Journey, Speed, The Replacements and The Gift show he's an actor capable of drama, action and comedy. 1999's The Matrix and it's subsequent sequels established him as one of the globe's most recognizable stars but I never got past the first installment and wasn't much of a fan. Since then he's popped up in productions big and small while directing a documentary about film versus digital then again on kung-fu flick Man of Tai Chi which was given a small theatrical release along with Video On Demand. His big budget samurai flick 47 Ronin got lost in the holiday shuffle after a tumultuous production and little critical or fan support. A bit of a recluse and loner, Reeves doesn't seem to be chasing Hollywood leading man status and has been known to give up part of his salary to pay for co-stars and crew. 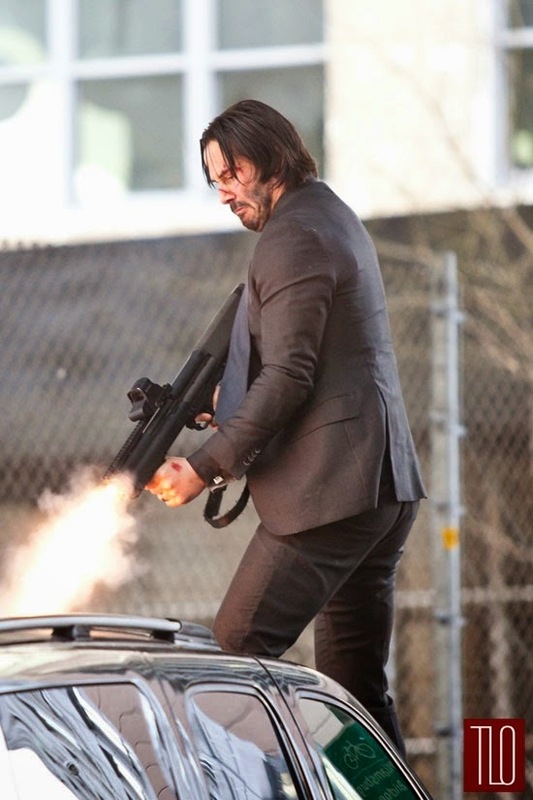 Lately, Reeves has upped his professional output having replaced Daniel Craig in court room drama The Whole Truth but before then audiences can see him in action film John Wick. Written by Derek Kolstad of Cuba Gooding, Jr., Steve Austin and Dolph Lundgren team ups The Package and One in the Chamber and directed by stunt men and 87Eleven founders Chad Stahelski and David Leitch. Stahleski has doubled Reeves in the past and served as Stunt Coordinator and Second Unit Director on films like The Hunger Games, Killer Elite and The Expendables while Leitch has doubled for the likes of Brad Pitt and Jean-Claude Van Damme then served as Stunt and Second Unit maestro on flicks such as The Wolverine, Escape Plan and upcoming Teenage Mutant Ninja Turtles and Jurassic Park reboots. 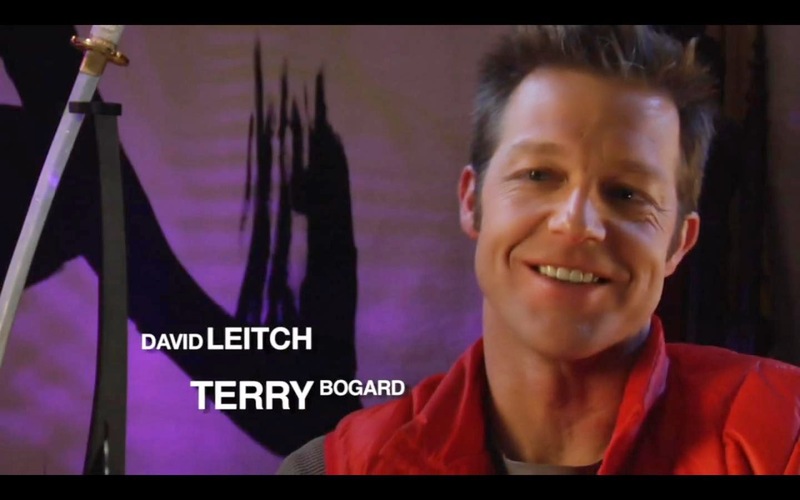 He also played Terry Bogard in video game adaptation of The King of Fighters, which is cool. 87Eleven is the brainchild of experienced stunt performers looking to design and create safe yet uniquely violent, physical, on screen action. They have a gym by the LAX airport frequented by the likes of Jason Statham, Gerard Butler and Ryan Reynolds while fight film staples and martial artists turned coordinators Larnell Stovall (Ride Along, Undisputed 3) and J.J. "Loco" Perry (Vanishing Son, Warrior) are among the staff. John Wick is the story of a legendary but retired hitman who is brought back to the violent trade when some Russian gangsters mess with him. Contracts are put on his life and Wick must fend off former friends and foes while tracking down the son of a local mob boss who did him wrong in violent, modern day The Punisher and Taken style. With an impressive supporting cast that includes Adrianne Palicki (G.I. Joe 2), Alfie Allen (Game of Thrones) and Willem Dafoe (To Live and Die in L.A.) with appearances by Bridget Moynahan (Tom Sellack's Blue Bloods), Ian McShane (Death Race), Kevin Nash (The Punisher), Daniel Bernhardt (Bloodsport 2), John Leguizamo (Executive Decision) and David Patrick Kelly (The Warriors), John Wick might not rewrite the book on action films but looks to provide a moody, stylized, tactical rough and tumble affair that should console any action fan disappointed by the fact that The Expendables III is PG-13.